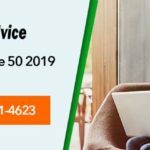 Sage 50Did you get system error 8 while running any report or layout on your Sage application? How annoying it could be when you are trying to do something and suddenly you experience an unexpected technical error. What could be more annoying is the inability to fix the problem. 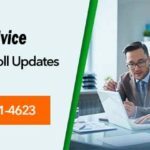 With accountingadvice.co, you needn’t worry about any kind of technical glitch that you get while working on your Sage application. We are here to help you. And here we have discussed step-by-step resolution to troubleshoot Sage system error 8. First lets begin with the cause of the problem. This Sage system error 8 can occur due to problem with the ODBC driver or memory resources of your computer. Also, this problem might occur when you try to run reports through Excel Integrated Reporting. Now go to About and Program Details and then note the Program Directory. (For Sage Accounts 2011 (v17) and below, go to Help>Now go to About>Select System Information>Then select Directories and then note the Program Directory>Now click on OK). Now got to File and then select Exit. If prompted to take data back up, click No. Once done, press ad hold down the Windows key and press E. Then browse to the program directory ODBC32. Then double-click on Setup.exe. (Note:In case a Confirm Uninstall message appears, always click on OK and select Finish. And then double-click ON Setup.exe again). Now select Yes and then Finish. Go to Help and select About. Now choose Program Details and then note the Data Directory. (For Sage Accounts 2011 (v17) and below go to Help and select About. Then go to System Information, select Directories, note the Data Directory. And then click on OK). Once done go to File, select Back up to start taking back up of your data. Now again go to File and select Exit. Now press and hold the Windows key and press E. the go to the data directory you noted in point number 2. Now look for all the files showing your user name. Then rename the files by including old at the start (For instance, if you login name is manage, then you files will be named as MANAGER>IVC or MANAGER.PRC, which should be renamed as OLDMANAGER>IVC and OLDMANAGER>PRC. However, if you still face the problem, it is suggested to logon as MANAGER and make a new alternative user. For that go to Settings and select Access Rights. Now select New and then enter the desired User name as well as Password. Once done, click on OK.
We hope that the above given steps can help you fix the Sage system error 8. However if you still face any issue, we would suggest you to call our technical experts at accountingadvice.co. 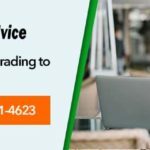 Whether you are unable to resolve the problem or face any problem or confusion while implementing the above give steps, our team of technical experts can provide comprehensive technical assistance to fix your Sage issue then and there only. Our fleet of technicians is just a call away. 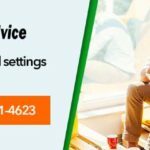 To avail our wide-ranging sage technical support services, all you have to do is dial our toll-free number 1800-961-4623 and sit back and just relax.